Squirrel Apartment is a recently refurbished self catering one-storey property sleeping four with a double and a twin bedroom, fully fitted kitchen, family bathroom and large living/dining room with French doors onto its own elevated private fenced garden, well above the Dulnain River. The apartment is attached and behind a family house and has its own private entrance and parking. It is warm and cosy due to the gas central heating and double glazing and there is plenty of hot water on demand. Wifi is available, towels and linens are provided and electricity is included within the cost of the rental. 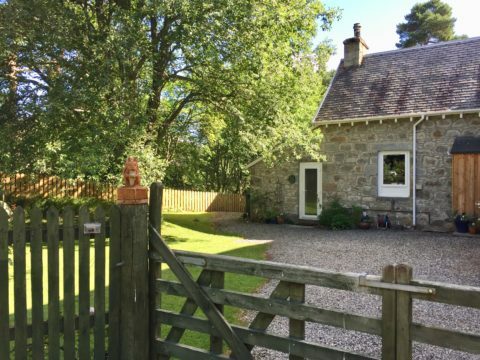 The ground floor apartment so is ideal for couples or families who are looking to explore the area, take part in the numerous activities available locally, enjoy the nature and outdoors or simply relax and enjoy the beautiful Scots Pine forests that surround us.